We’ve had a bout of hot weather since the last time I wrote about the hedgerows about a week ago. 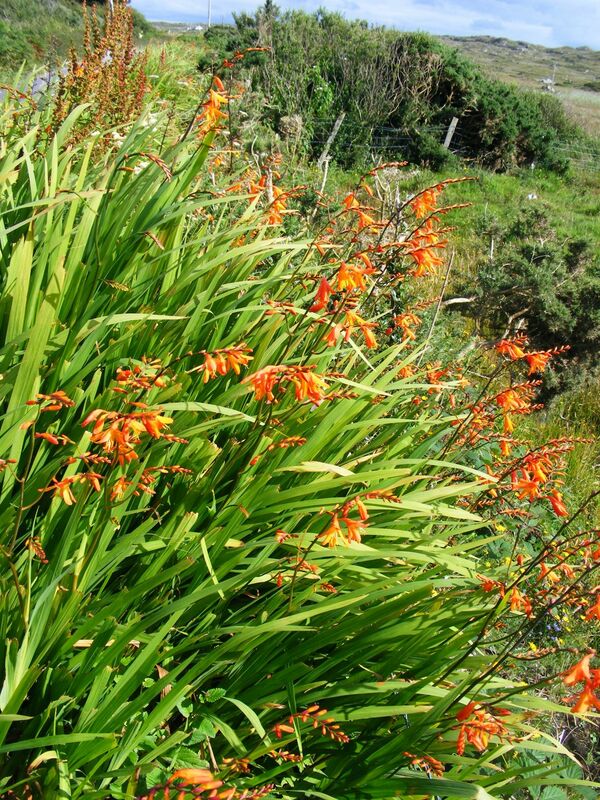 Since then the roadside plants have burst into bloom and the Montbretia ( above ) and Fuchsia are aflame with blossoms. I took these photos on a walk near our home. 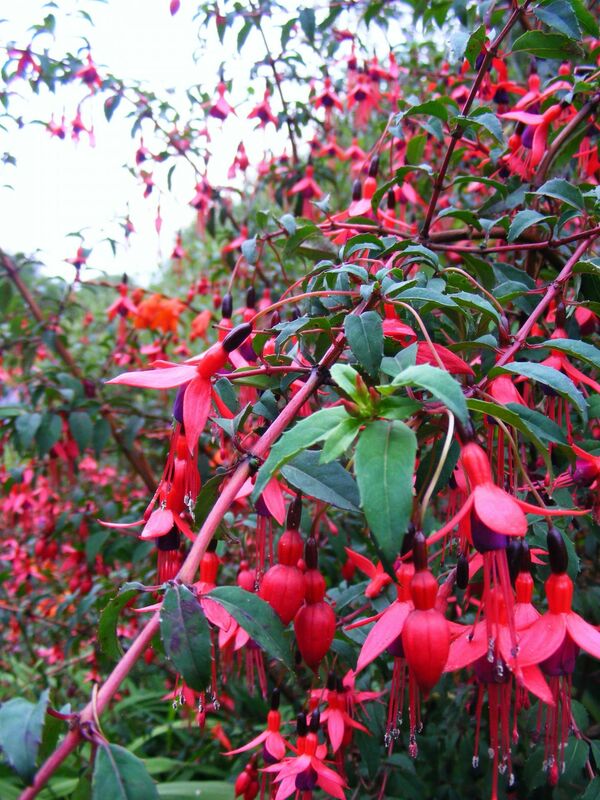 Here’s some more pictures of the Fuchsia. 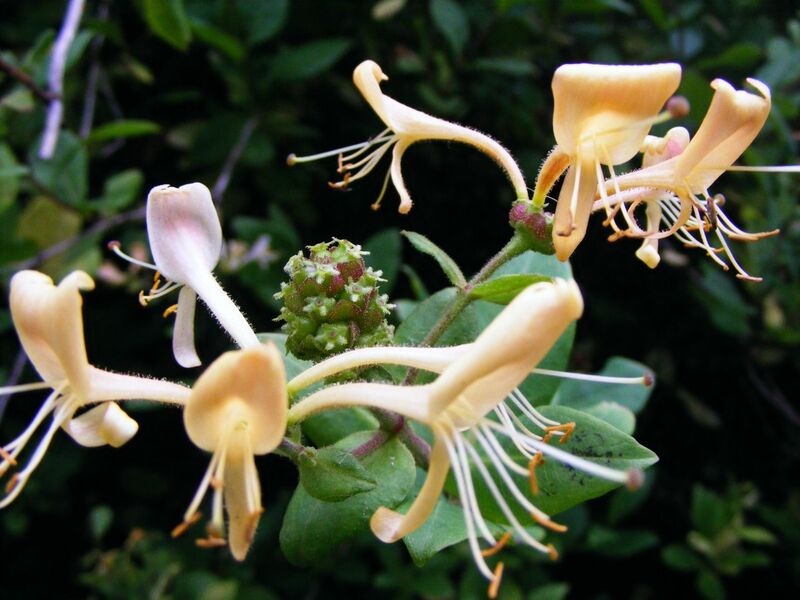 This plant is part and parcel of Connemara and it is in its full glory at the moment, slender branches weighed down with dangling blossoms. Close up the blossoms remind me of tiny dancers in red and purple skirts, like a ragtag chorus line of marionettes..
There’s a headiness in the air that’s hard to beat. 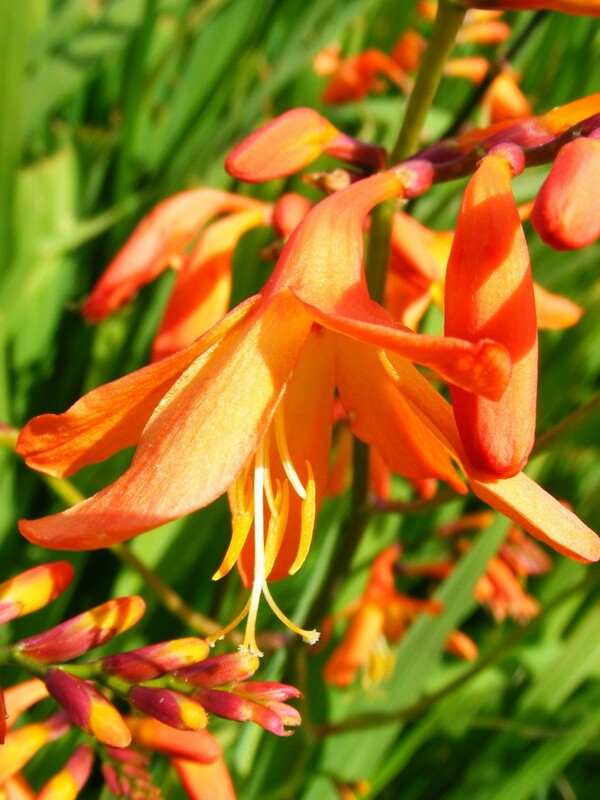 It’s a combination of good evening light, balmy temperatures and real or imagined scents – I know these flowers don’t have a strong scent but there’s an atmosphere of sweetness a bit like the conjured up whiff of an unopened bottle of wine.. I stop to take a few more pictures along the way. 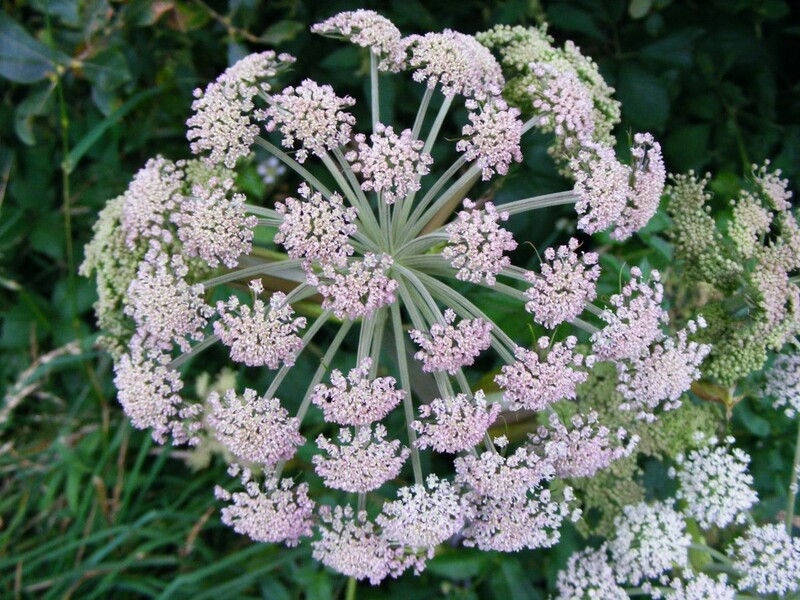 I think the next one is Hogweed ( correct me if I’m wrong ) which seems unfair for such a graceful plant. I love its spray of seed like flowers, it’s own little bouquet. 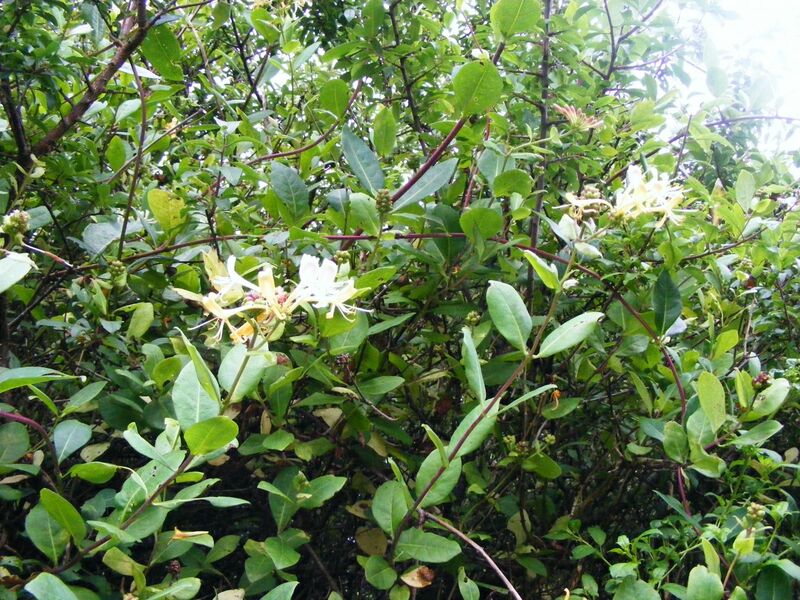 The next plant I encounter is the wild honeysuckle. It’s gorgeous fragrance alerts me to it’s presence before I spot it high in the hedge. Here’s a close up. 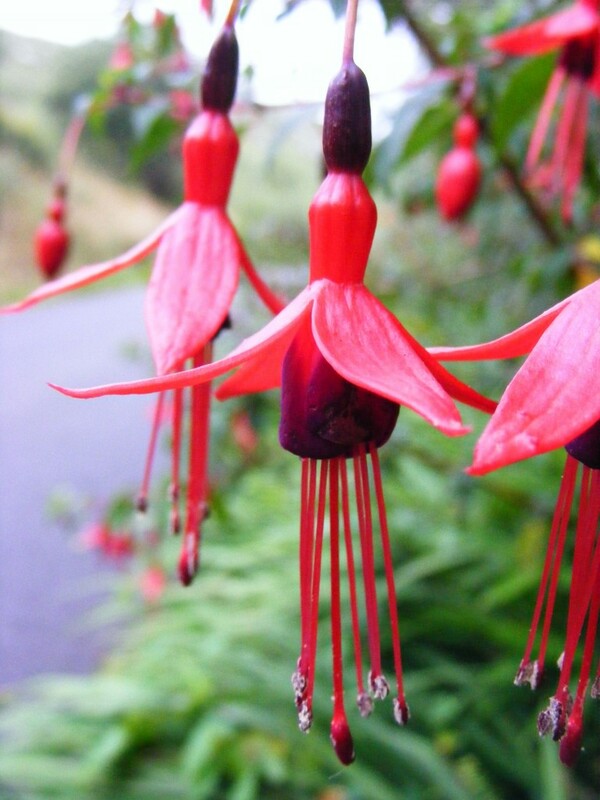 It’s such an exotic looking flower for this place, I am humbled by its presence. 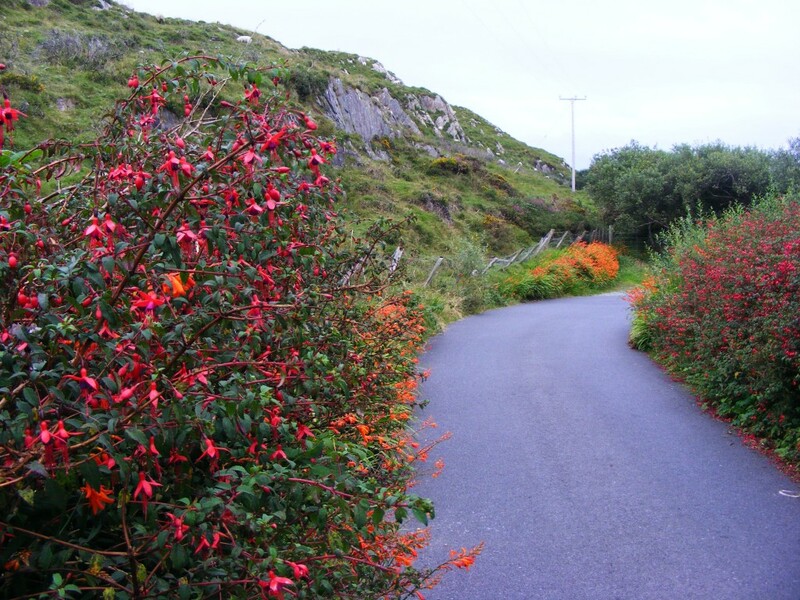 Right now there is no place finer or sweeter than the Connemara hedgerows. 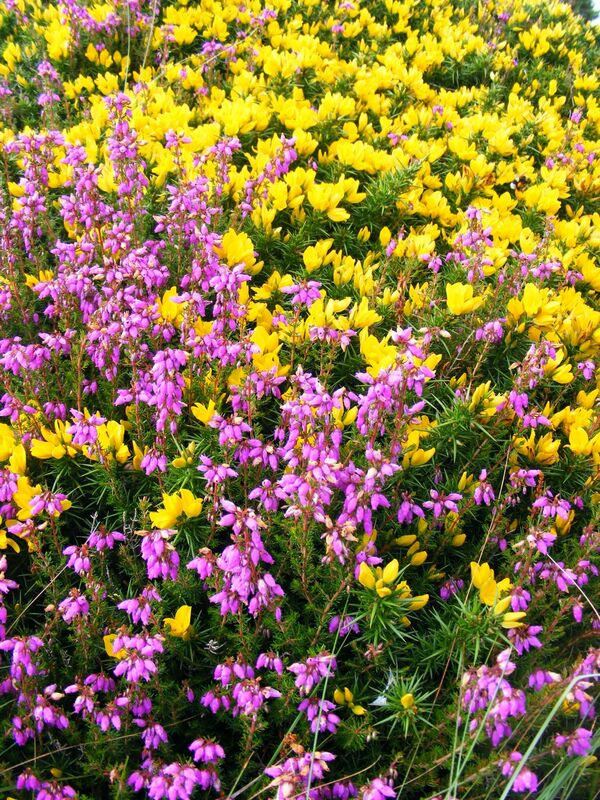 The roadside is brightened with mounds of purple and yellow colour at the moment – the long flowering gorse ( remember when I took some photos of the first Spring gorse earlier this year? ) 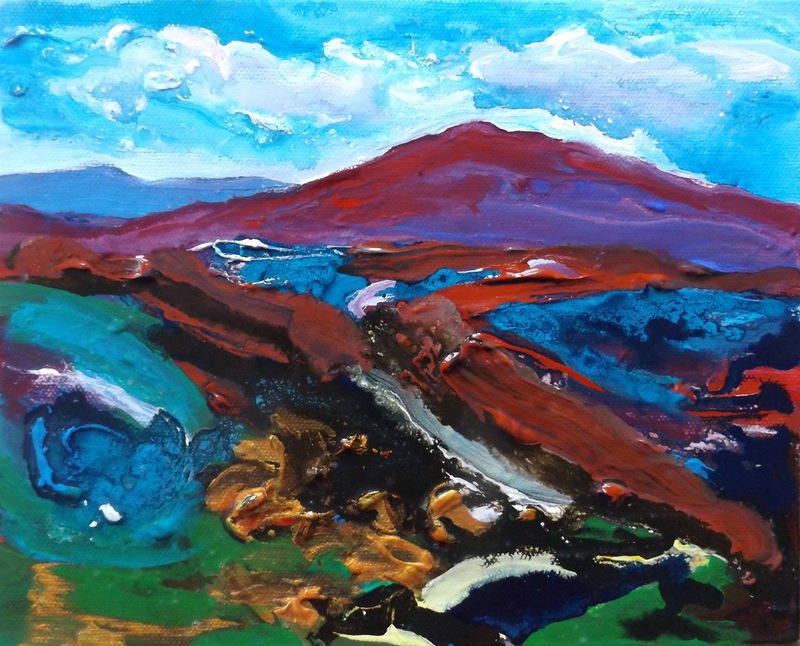 and the purple heather. The other colour that is starting to appear is the orange of the Montbretia plant. 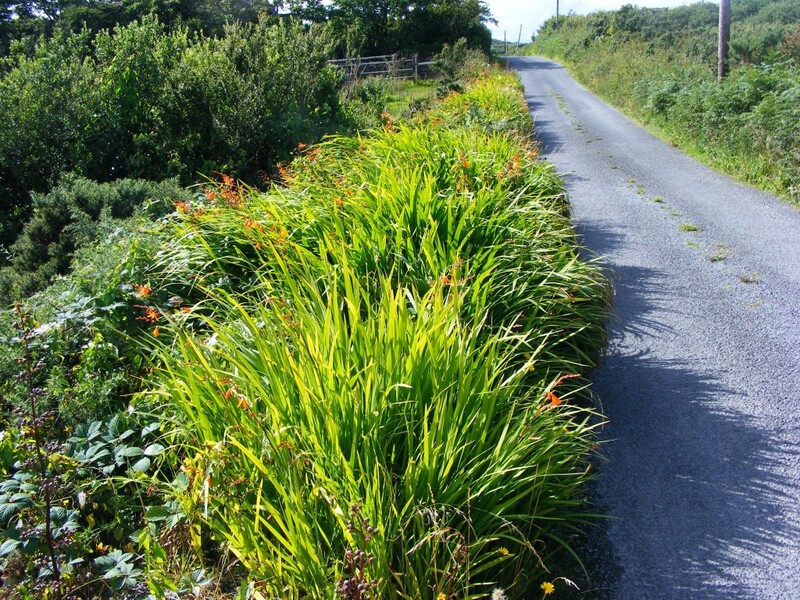 It has been visible until now as bright green clumps along the roadside. The sight of the first few blooms makes me a tiny bit sad because it signals the beginning of the end of the Summer (what Summer I hear you say?) In a couple of weeks, these grassy banks will be bursting with swooping orange flowers. Here’s some more pictures.